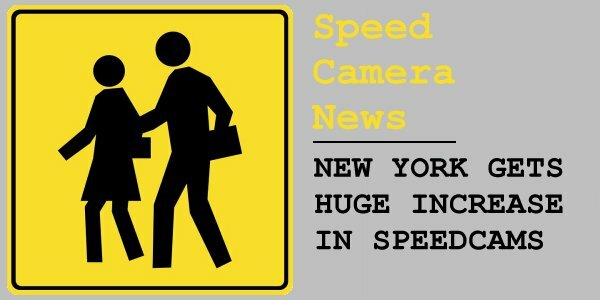 Following a new bill, New York is set to increase the amount of speed cameras in their school zones - a school zone is defined as: "a radial distance not to exceed one thousand three hundred twenty feet from a school building, entrance or exit." The number of devices will expand dramatically from 140 to 750. Also, monitoring will now take place between 6am and 10pm instead of the previous school hours only rule. Senator Andrew Gounardes, the bill's introducer, said: "This program slows traffic and saves lives. Plain and simple. The numbers are indisputable and speak for themselves: 63% reduction in speeding traffic and 14% in traffic injuries." He added: "We know that speed is determinant of the severity of an injury received in a crash. I will never apologise for prioritising the safety of millions of pedestrians over the issuance of tickets to reckless drivers."